Alongside the new 2017 updated Gixxer and Gixxer SF models, Suzuki Motorcycle India also launched a BS-IV compliant New Access 125, which gets the Automatic Headlamp On (AHO) feature. The new 2017 Suzuki Access 125 is available in a new Metallic Sonic Silver colour. The company also presented a new, trendy colour variant of its flagship scooter, the New Access 125. 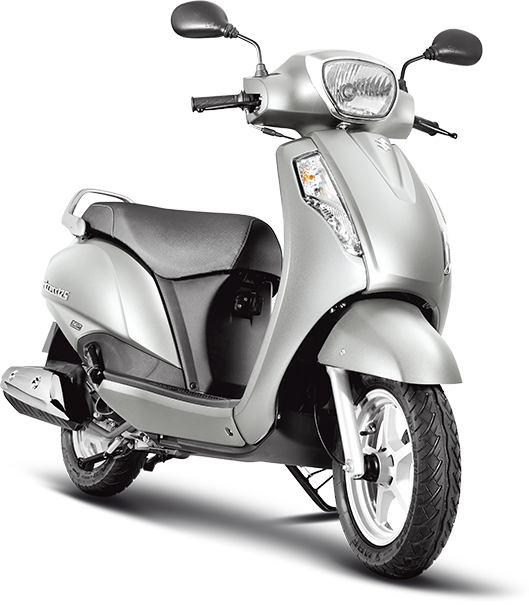 The scooter will now be available in a Metallic Sonic Silver colour, as an addition to its existing line up. It will continue to be offered in the 5 existing colour options – Pearl Suzuki Deep Blue, Candy Sonoma Red, Metallic Fibroin Grey, Glass Sparkle Black and Pearl Mirage White. The Metallic Sonic Silver makes a powerful and muscular statement, accentuating and complementing the overall design lines of the scooter. The aesthetic silver colour coupled with the proven performance of the New Access 125 provides wider appeal to the growing trendy and fashion conscious audience. The Metallic Sonic Silver variant will be sold at Rs. 54,302 (Ex Showroom, Delhi) for the drum brake version and Rs. 57,615 (Ex Showroom, Delhi) for the disc brake version. Next articleVIDEO: Tata Hexa towing Boeing 737-300 passenger aircraft!